Cruise under both the Golden Gate Bridge and the Bay Bridge in one spectacular cruise along San Francisco’s entire urban skyline, accompanied by our headphone audio in 16 languages. Along the way, explore San Francisco’s stunning landmarks like Alcatraz Island, Coit Tower, Ferry Building, Transamerica Pyramid, Palace of Fine Arts, and many more. Our San Francisco bridge to bridge tours give you the opportunity to learn about this city’s unique natural history, architecture, and Native American culture through our audio tour. Other interesting aspects of the multilingual audio tour include details about the building of both bridges, the geology of San Francisco Bay and the earthquakes that have shaken San Francisco and require special seismic considerations in the designing of new structures. Cruising under both of San Francisco’s incredible bridges surely will be the highlight of your journey. Red and White Fleet originally launched its sightseeing bay cruises of San Francisco in 1939, when it was awarded the contract for offering tours of the newly-built Golden Gate and Bay Bridges during the Golden Gate International Exposition of that time. Back then our sightseeing trips departed from Treasure Island, where the fair was held, but today our cruises depart from Pier 43 ½ in Fisherman’s Wharf. 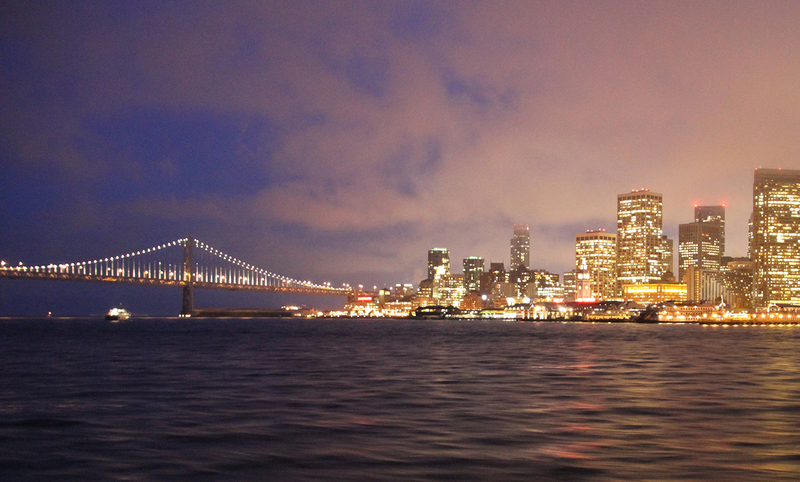 Ever since, our Red and White Fleet cruises have sailed the waters of San Francisco Bay for sightseeing purposes. 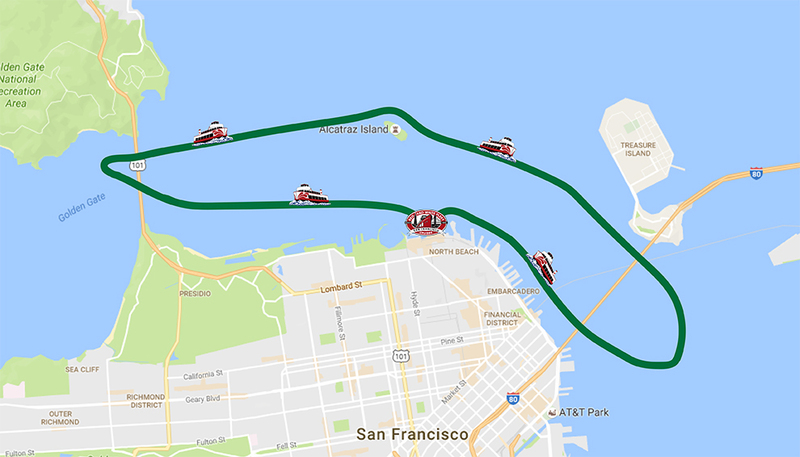 With the 80th anniversary of the Golden Gate Bridge approaching, we reintroduced our original “Bridge 2 Bridge Cruise” concept to visitors from around the world, and we hope you sincerely enjoy your time aboard. Red and White Fleet’s Bridge 2 Bridge Cruise departs 1 to 5 times daily, all year long. While our noon departures tend to be the busiest Bridge 2 Bridge Cruises of the day, we welcome guests to bring aboard boxed luncheons, to enjoy a meal all while exploring San Francisco Bay. Tickets are valid for any Bridge 2 Bridge Cruise departure time for 365 days after purchase.